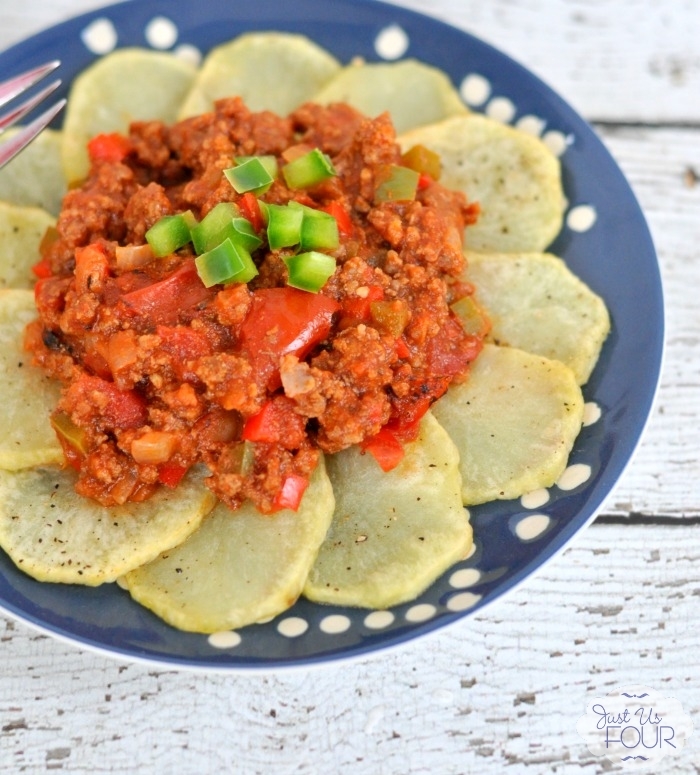 Paleo Sloppy Joes - A Delicious Homemade Sloppy Recipe! Making sloppy joes used to be hard, but with my easy whole30 recipe for Paleo Sloppy Joes, everyone eats happy and healthy! Mathlete loves sloppy joes. Besides the one time I made them with turkey instead of beef, I don’t think I have ever gone wrong making sloppy joes for him. Of course, I am trying to stick to more paleo dishes so I needed to find a way to bridge the gap between Mathlete’s favorite and something I could eat. 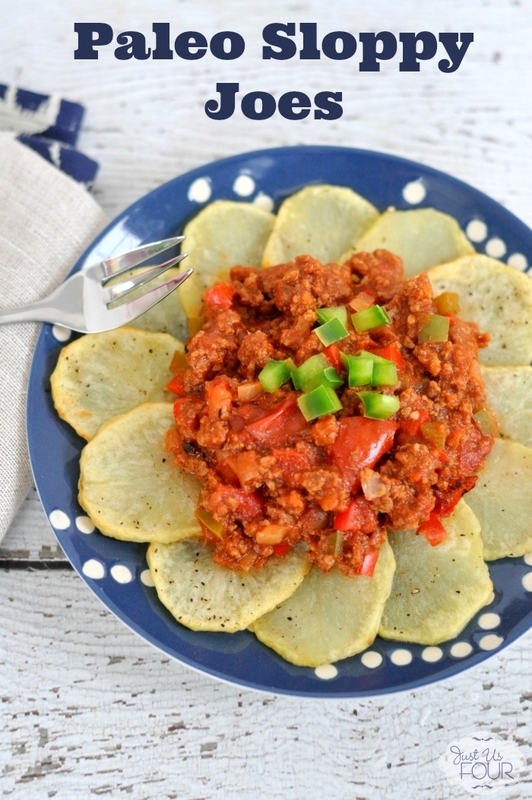 The result are these amazing Paleo Sloppy Joes. Of course, a sloppy joe by definition would include a bun which would be totally un-paleo. I still make Mathlete’s with a bun but put mine on top of crispy white sweet potato slices for the perfect meal. 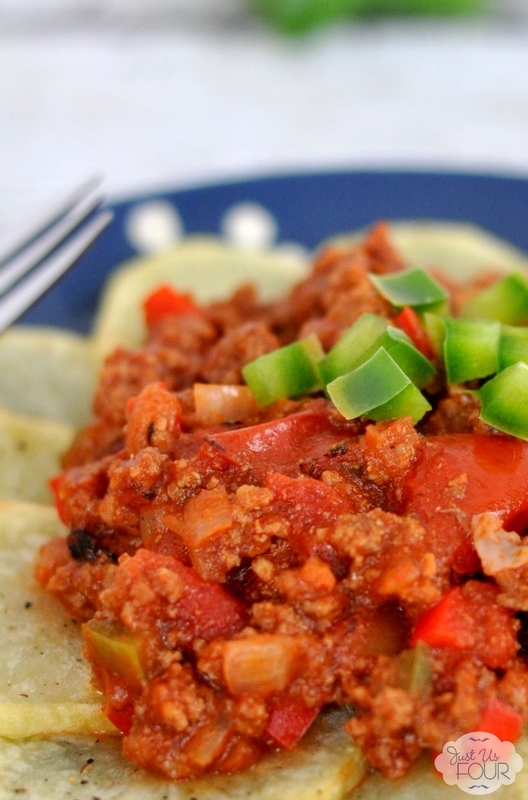 I use this Paleo Sloppy Joes recipe for my whole30 meal plan during the week! Do you like making paleo recipes for a healthy whole30 dinner like I do? Preheat oven to 400 degrees. Melt 1 Tbsp ghee and brush on both sides of sliced sweet potato. Place on baking sheet. Season with salt and pepper. Bake for 10-12 minutes or until crisp. Meanwhile, heat remaining 1 Tbsp ghee over medium heat. Add onion and cook for 2-3 minutes. Add garlic and cook for an additional 1-2 minutes. Add ground beef and cook, stirring to crumble, until browned. Drain any liquid from the pan and return to medium heat. Remaining ingredients and bring to a boil. Reduce heat to low and simmer for 10 minutes. Remove dates. 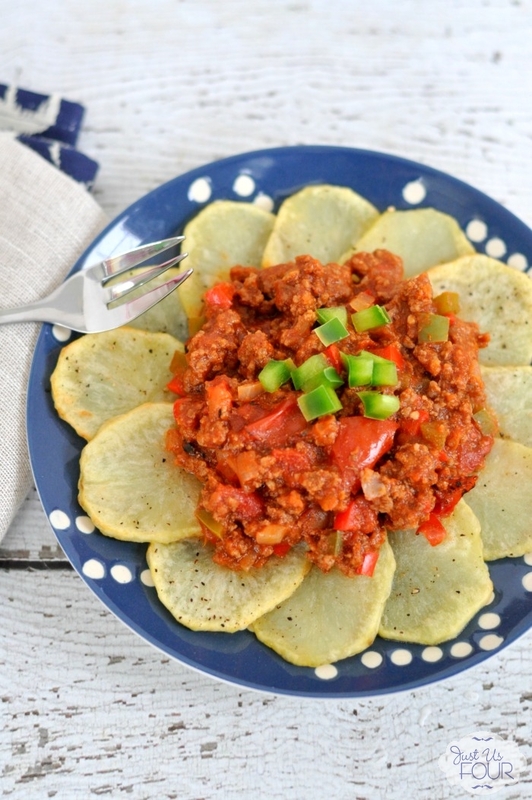 Serve sloppy joe mixture over sliced sweet potatoes. Yum! These looks so good! I have been searching for a good and healthy sloppy joe recipe! thanks for sharing! YES!!! Thank you!!! This looks amazing!! Thanks for sharing at the Sits Girls Blog hop! wow. I have never seen white sweet potatoes! How cool! Thanks for linking this post to #PureBlogLove link party. The party starts every Thursday night at 8 p.m. EST and runs through the week end. I’m hosting over at http://www.homemadefoodjunkie.com. I love your ideas, please link up again next week! !